Given the vast amount of genetic information available, how can researchers analyze this data and find ways to combat disease and promote wellness? Jonathan L. Haines, Ph.D., a renowned genetic epidemiologist is mastering the art of genomic data analysis and making discoveries that improve patient care. Dr. Haines is the Mary W. Sheldon, M.D., Professor of Genome Sciences; chair of the Department of Epidemiology and Biostatistics; and director of the Institute for Computational Biology at Case Western Reserve University School of Medicine. He will share his bioinformatics and genomics expertise in a session entitled “To Use or Not to Use: Clinical Application of Genetic Risk Scores in Age-Related Macular Degeneration” at Individualizing Medicine 2016: Advancing Care Through Genomics. Hosted by the Mayo Clinic Center for Individualized Medicine, the fifth annual genomics conference takes place Oct. 5–6, in Rochester, Minn.
Dr. Haines has led research teams that have made major advances in identifying genes that either cause or are associated with Alzheimer's disease, macular degeneration, Parkinson's disease, multiple sclerosis and autism. In 2010, Dr. Haines helped form a consortium to accelerate research for age-related macular degeneration that has grown to include more than 25 groups from 15 countries. Dr. Haines is also helping to lead a White House-initiated effort to sequence the DNA of over 11,000 Alzheimer’s disease samples to find the remaining Alzheimer’s disease genes and develop treatments based on those results. As director of the Institute for Computational Biology, an academic collaboration between Case Western Reserve University, University Hospitals Case Medical Center and Cleveland Clinic Foundation, Dr. Haines is leading the effort to bring together biological and genomic information from electronic health records and create a resource for future research efforts. By developing new computational methods for tying these data together, Dr. Haines and his team hope to make new discoveries and better understand their connections to each other and their impact on health and disease. 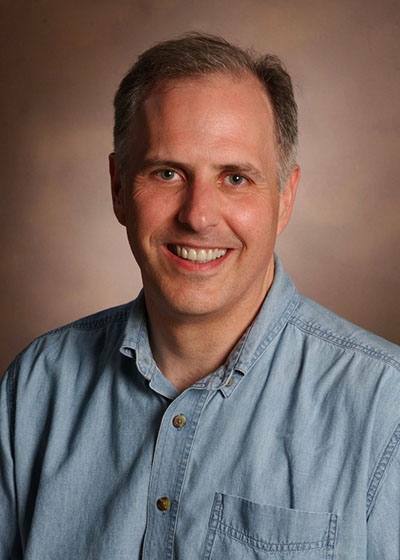 Prior to joining Case Western Reserve University, Dr. Haines was at Vanderbilt University, where he founded the Center for Human Genetics Research as well as a doctoral program in Human Genetics. The center grew to include nearly 20 principal investigators, and served dozens of faculty and students with data analysis, technological assistance, and assessment of genes’ role in specific conditions. Dr. Haines earned his doctorate in genetics from the University of Minnesota and received postdoctoral training at the Indiana University School of Medicine. He holds five patents for his work with Alzheimer’s disease, multiple sclerosis and macular degeneration. Hear Dr. Haines and many other experts discuss the latest research in precision medicine and how it can be applied to improve treatments for many conditions at #CIMCon16. For a complete schedule and list of speakers, visit the conference website. Follow the latest news related to the conference on the Center for Individualized Medicine blog, Facebook, LinkedIn or Twitter at @MayoClinicCIM and use the hashtag #CIMCon16.